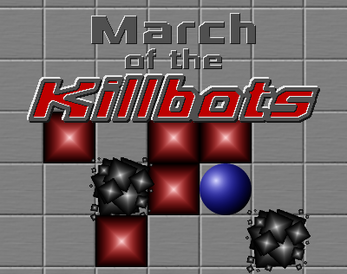 Made for One Game a Month in June 2014. It's a good thing the bots are so dumb that they don't even avoid each other. This game is in the style of the classic Robots, one of the game types that is very nostalgic for me. I played a version called Daleks (i.e. Dr. Who) on a black and white screen in the late '80s. That memory is probably why I've made a few games with the same base mechanics over the years since then.